Bill Maher Goes Flat Earth Last Friday Night!! Good time for a book release! this shirt was for sale 5 days ago on the same day Kylie Irving of the Cleveland Cavaliers basketball team brought it up. hmmmmm…profitting or planting a Meme? Conspiracy theories can even run wild in the NBA. Earlier this month, Cleveland Cavaliers player Kyrie Irving outed himself as a flat Earth truther. 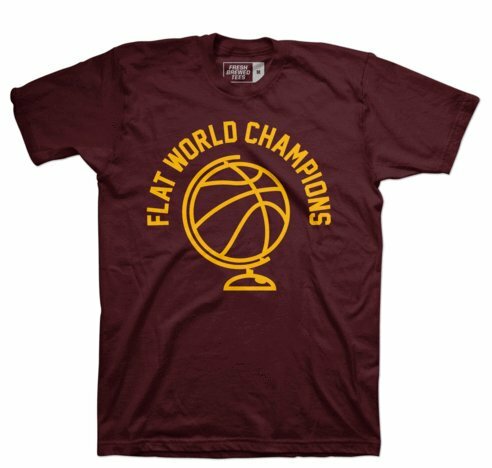 Then, on last Wednesday, teammate Richard Jefferson appeared wearing a shirt that read “Flat World . I just saw this from Lefty gatekeeper Bill Maher bringing up Flat Earth. This is a huge psyops, not popularity opinion to sell ads but to create conflictual natures like LBGT and #Black Lives Matter to seed conflict amongst the sheeple. Their just feeding the Flat Earth Debate or you would not hear about it on TV…just like the end of the protests at the North Dakota…it’s over and no one even reported it. they are putting the FE topic to divide and conquer, pure and simple but the cat is officially out of the bag and 2017 is the Year of the Flat Earth Awakening! also note the link between Flat Earth and climate change …..again…all a set up, but hey, heads are turning and there is no such thing as bad publicity, right? And check out the manufactured cover look about Flat Earth…talk about body language and implanted memes to the masses! !